Raw emotion is often concealed by a more refined version of our self. 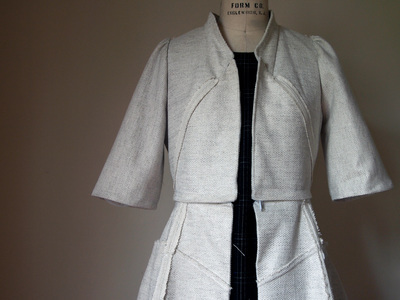 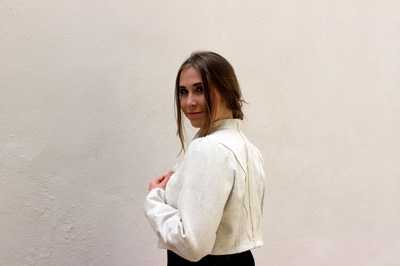 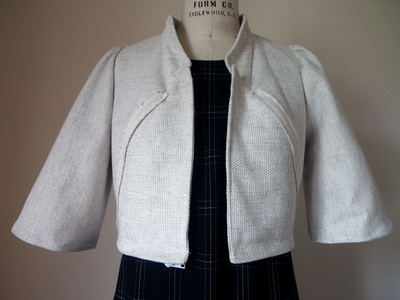 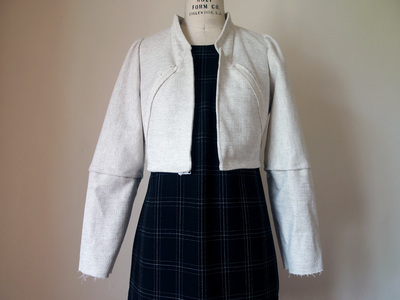 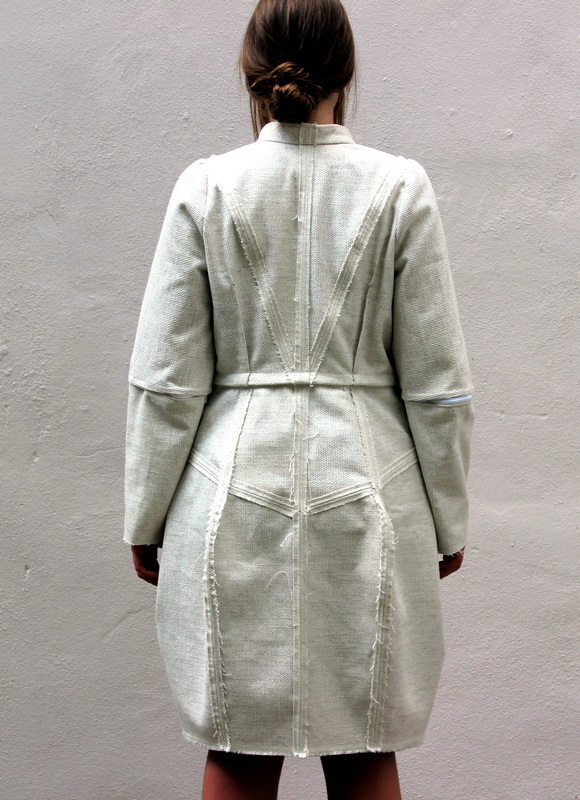 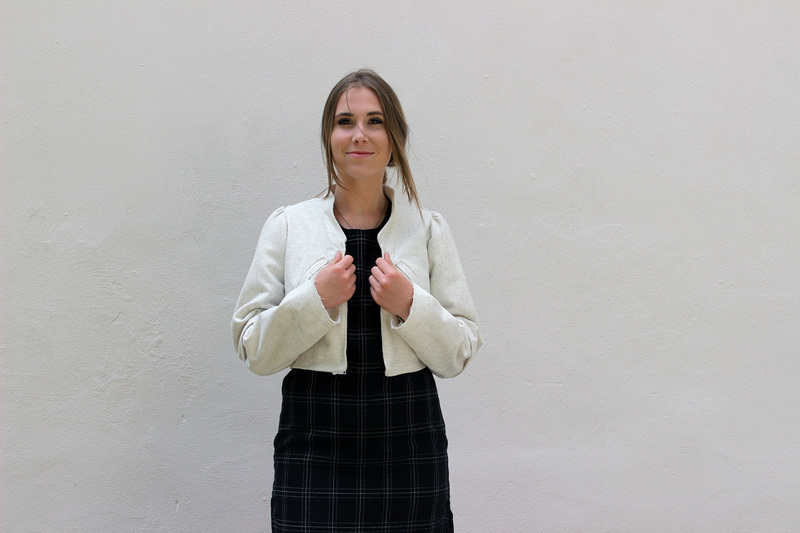 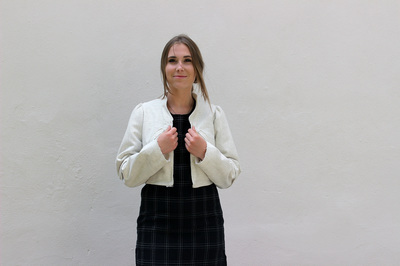 This jacket is made out of a heavy-weight upholstery fabric. 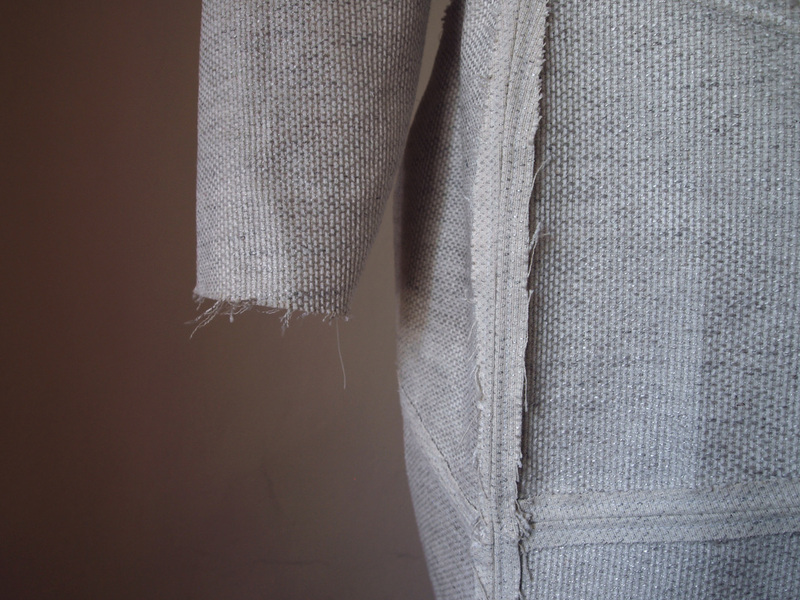 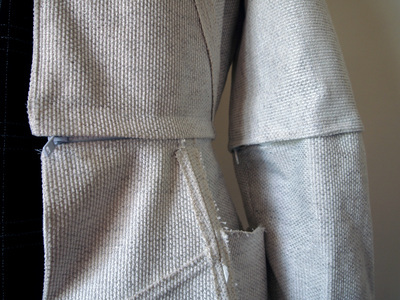 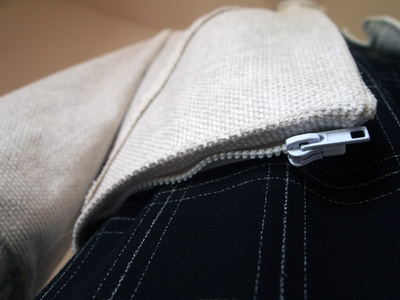 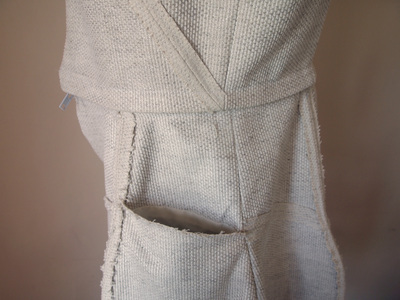 Using separating zippers on the waist and both arms, the jacket can be worn multiple ways to achieve different looks. 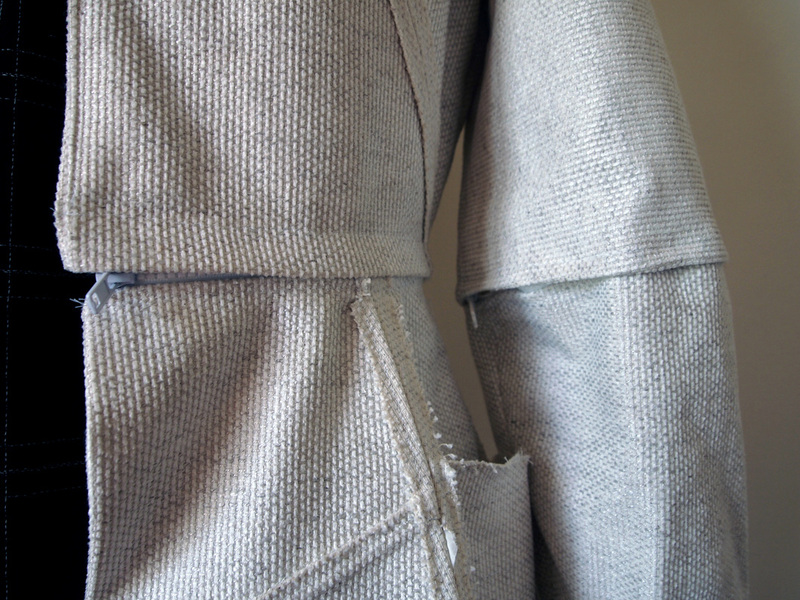 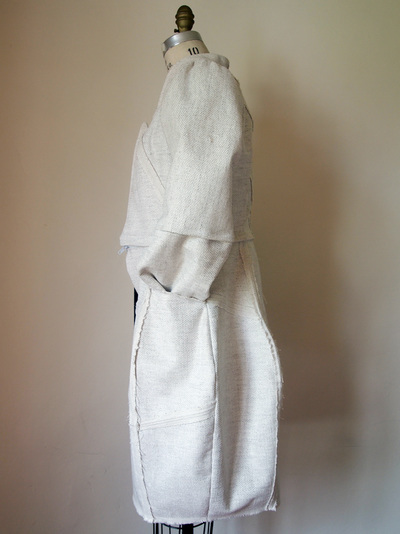 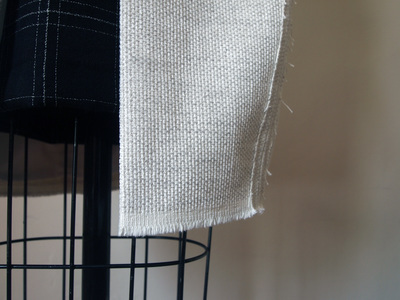 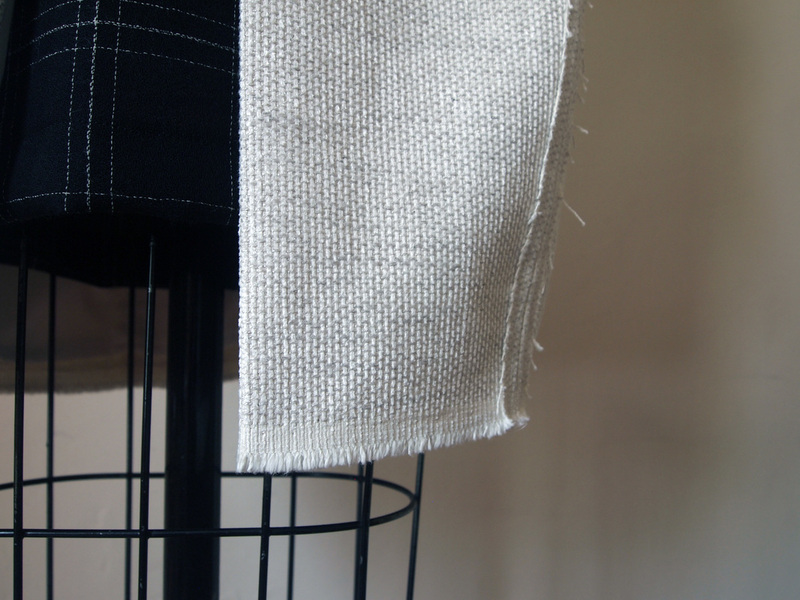 Exposed seaming along with tailoring in mind are used to create the raw and refined. 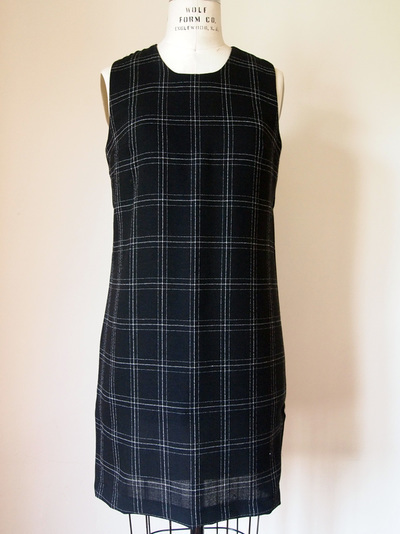 The dress is made out of a light-weight crepe fabric with the woven stripes. 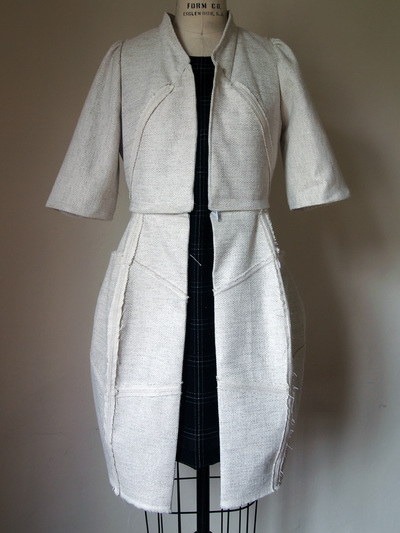 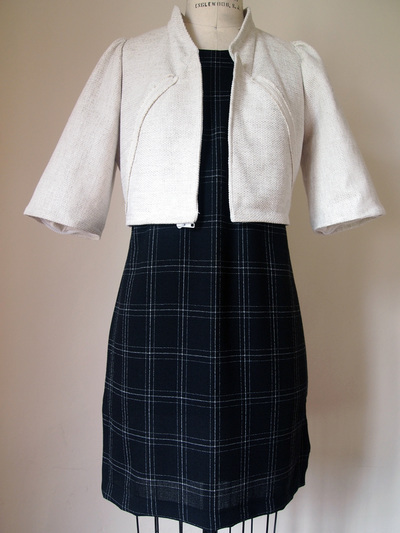 This clean, minimalistic dress contrasts the busier jacket creating another contradiction of raw and refined.